This is another the other rather common 1805 marriage. There has only been 1 MS example from recent records but there are many XF and AU appearances. The O-112 does not seem to be as common as the 111, but it is still readily available. The late die state develops some neat characteristics as well that commands a premium. 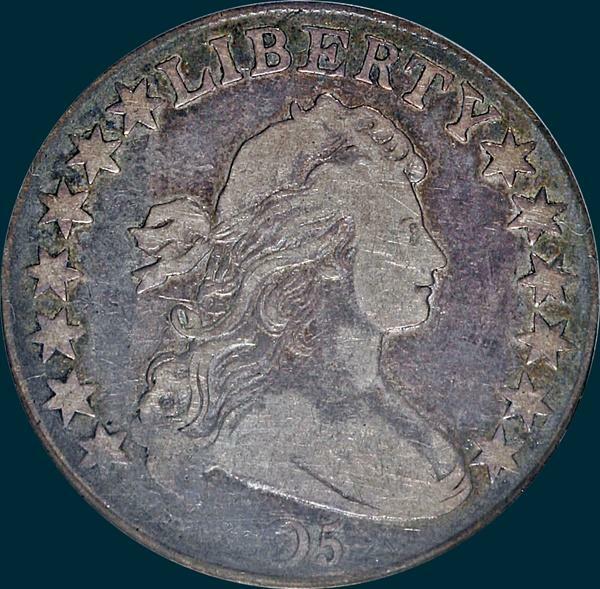 NGC Graded VF25. Cool old envelope toning. I would grade it myself a VF30. It seems to be missing the majority of its edge lettering, but a cracking would be required to be certain. 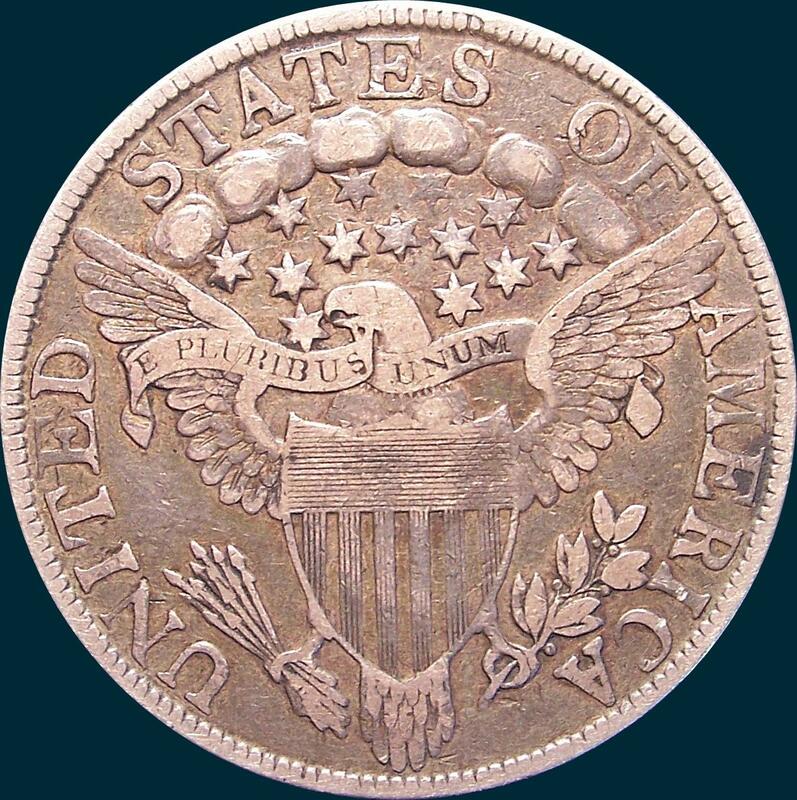 As described by Heritage:All letters in E PLURIBUS UNUM are readable, and the lavender-gray surfaces are free from blemish. Considerable design detail is present. 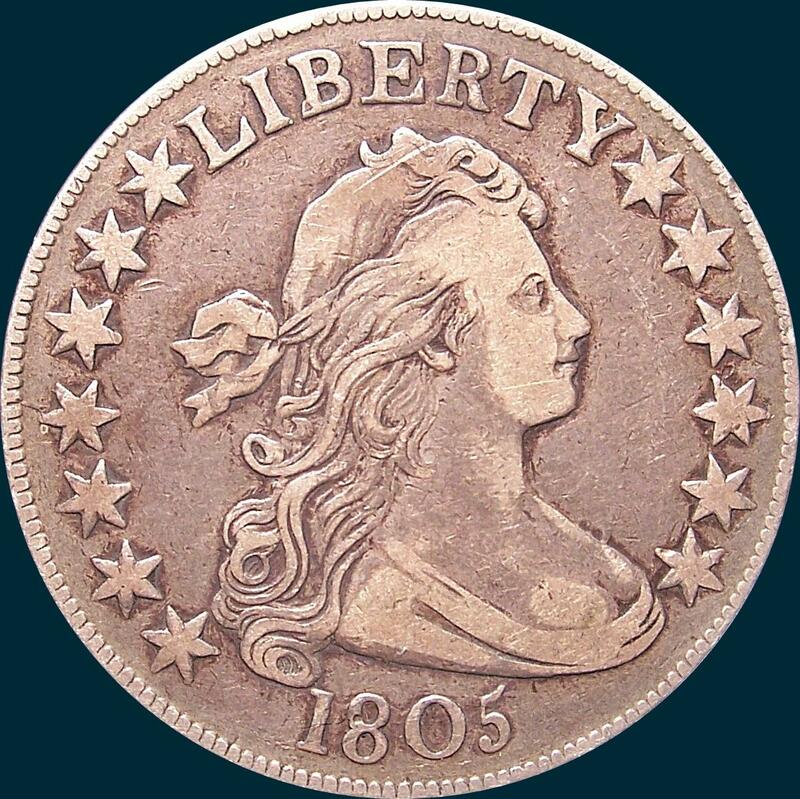 A pleasing VF Draped Bust type coin. Edge Pics, and as you can see, very little is legible or even there in places. 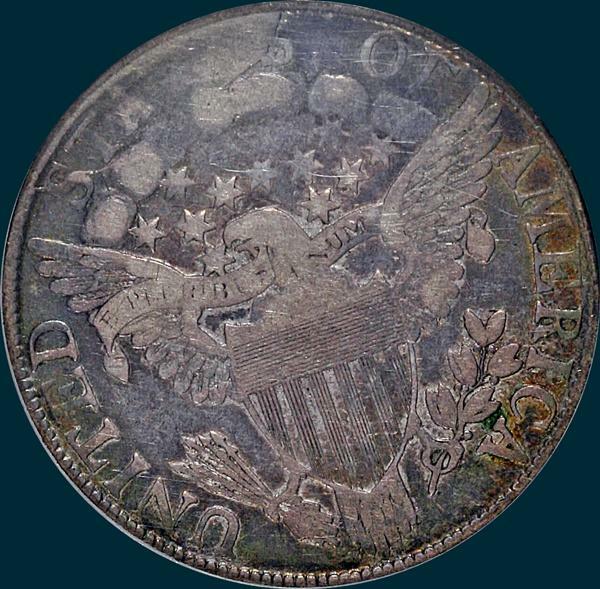 Rotating the coin from the top, clockwise. Reverse- 5 berries, the lower one has a very short stem and the other four long stems, point of leaf is very close to right base of I. A circular die crack from edge through first S across clouds and out to edge through last S. Star joined to front of beak and two lower points embedded in scroll. 13 arrows. For those interested, below are pics of the O-112"a" die state, which is very rare (R6?). Note the missing 18 in the date and parts of STATES missing reverse.